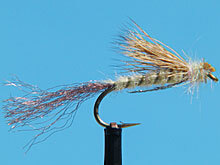 The kind of fly lure called the Emerger is a specialized kind of fly. The reason it's so specialized is that it's an imitation of a nymph which is about to no longer be a nymph: that is, it's imitating an insect that is in the transitional stage between nymph and adult. During the time of the year when "emergers" are prominent in the waters, the fish are likely to get really stubborn about biting at your imitation adult dry flies. This is because they're suspicious: they see all these emergers around them and now here comes a fly fisherman? "Hey human, I ain't survived this long as a free fish by being a moron!" 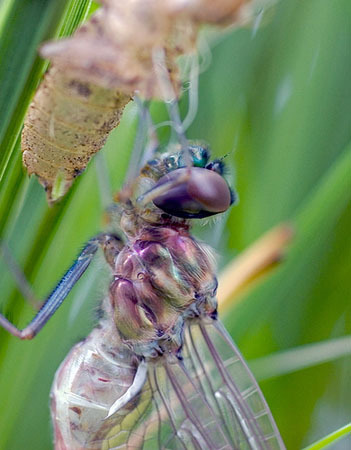 Many Emerger flies are crafted to imitate something like, say, a Blue Winged Olive fly that has its back end caught in a shuck that won't release it, or a Mayfly that didn't emerge correctly from its shuck and is now wounded right from birth. In short, these files imitate easy prey--and what salmon or trout or whiting or bass can resist? 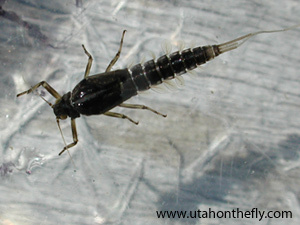 There are many kinds of imitation emergers and vulnerable insects to choose from and put in your fly box. These include the very popular Caddis (their nymphs are prone to taking their sweet time rising out of the water and their wings routinely get caught as they attempt to open them), Blue Winged Olives, Loop Wing Olives, Baetis, Callibaetis, Green Drakes, Hexaginias ("Yummy, yummy! "), Mahogany Dun and Pale Evening Dun Mayflies, Pale Morning Dun Mayflies, March Brown Mayflies, and Tricos. Many anglers like to use these flies to imitate insects fresh from hatches when the time of year is just right by imitating their movements. And it has also been found that a slight amount of drag which has the lure plunge momentarily and shallowly (a couple of inches) below the water's surface and then bob back to the surface can draw trout and salmon very effectively, To their brains it seems as if they've just spied an emergent insect rising into the light. But, this can be very tricky and the majority will tell you to use imitations of emergent insects in the "straight" dry fly way: lay it softly upon the water's surface and let it drift. Now there's also a trick lure that anglers use when they can't decisively figure out which emergent insects the fish are finding to eat in a given place at a given time. 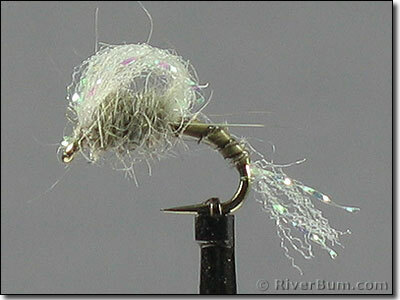 This tricky lure is called Adam's Parachute, or nowadays often just "the parachute fly". 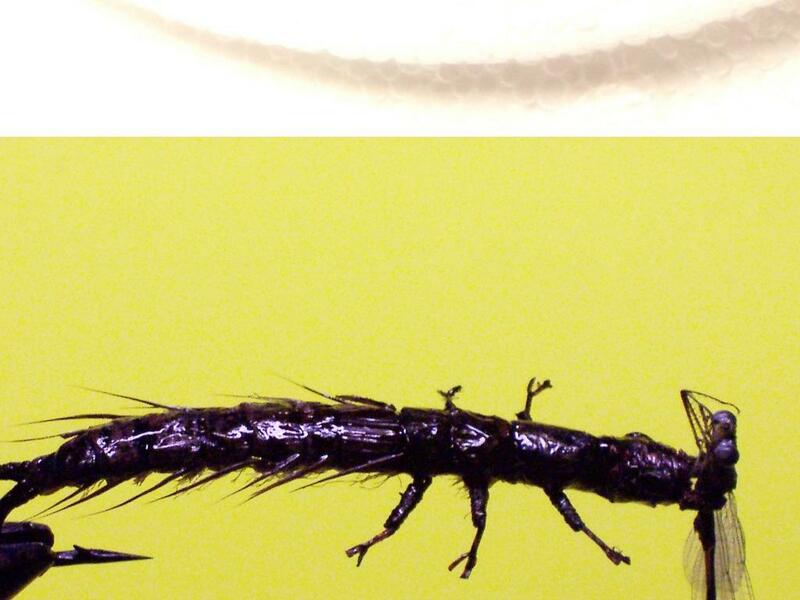 First invented in 1922, this is a dry fly which has its hackle tied around a projection that's on the top of the hook shank near the eye; this makes the hackle lie horizontally across the hook, covering it like an open umbrella. 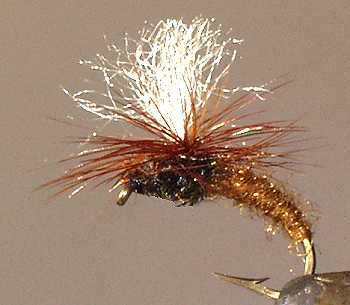 The hook's weight beneath the circular hackle balances the fly as it falls lightly on the water just like a paratrooper coming down. The "splashdown" and immediate up-rise motion coupled with the spreading "parachute" effect that resembles newly spreading wings gives the appearance of an emerging insect that has escaped the clutching jaws of hungry fish and is desperately trying to evade another capture. This kind of motion really turns fish on and makes them “salivate”. I love the “parachute”. It makes me happy! !